Make everyone feel appreciated for the good things they have done for you by using the Thanksgiving Day greeting cards that will help you express your feelings in a better way. You don’t have to create these cards from the scratch as there are thank you card template collection already available that will simplify your task. 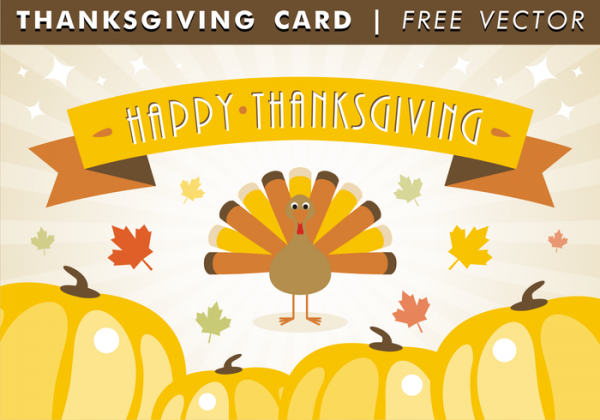 These free thanksgiving cards come in various sizes, styles, and forms, so everyone can easily get one as per their need. You may also see Free Printable Greeting Cards. 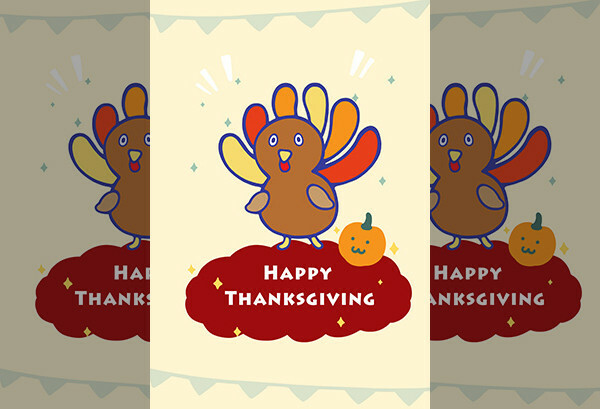 Here’s an animated thanksgiving card that consists of an adorable layout. It displays a bird on the cover page, which suits the idea of thanksgiving perfectly. Click on the link to initiate the download process for free! You may also see Post Card Designs. 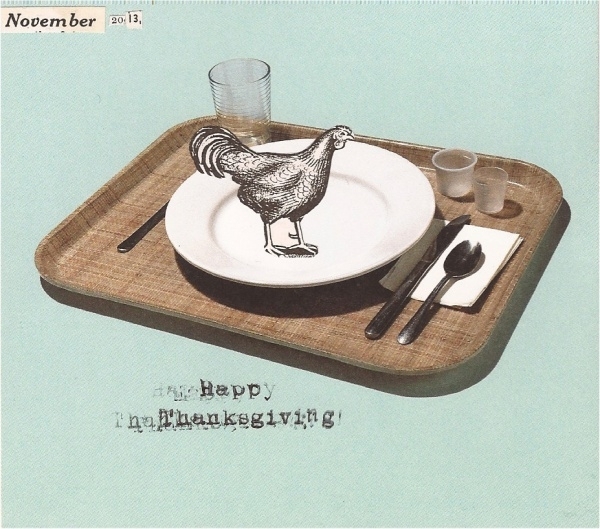 This is a creatively made thanksgiving card, which is handmade using cut out and other designing elements. It is an ideal selection if you want to give your card a vintage or funny look. You may also see Personal Card Designs. 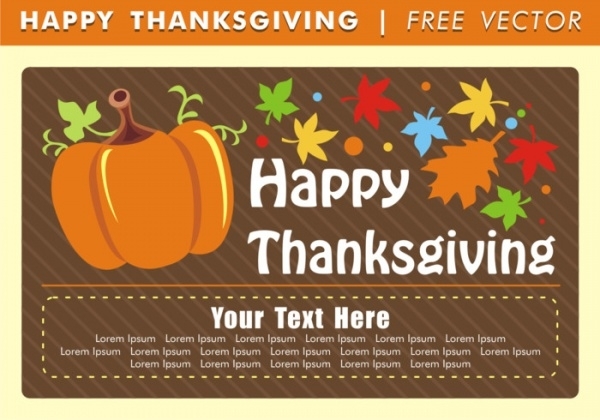 This is a free email thanksgiving cards, which mainly features pumpkin that suits right with the idea of Thanksgiving. It uses eye catchy typography that enhances the beauty of the card. 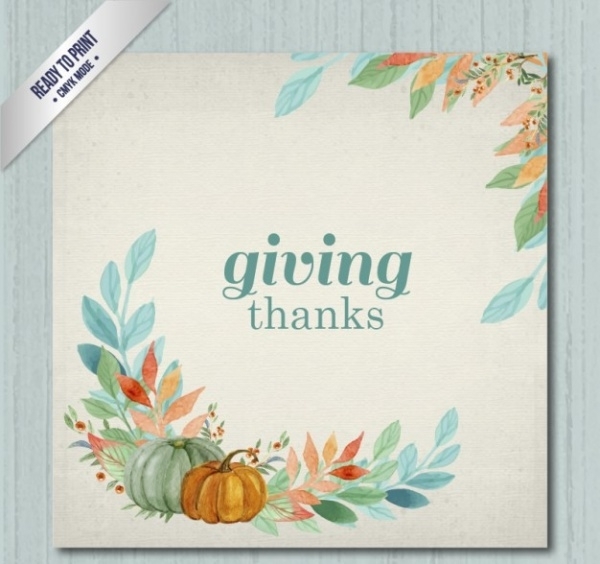 Say thank you to your closed ones by using this thanksgiving typography card, which comes with an elegant layout. It showcases an elegant blend of color and interesting typography. This is a professionally designed thanksgiving wine card that can come handy for a wide variety of work such as print design, game, advertising, etc. Click below to download it instantly for your use! 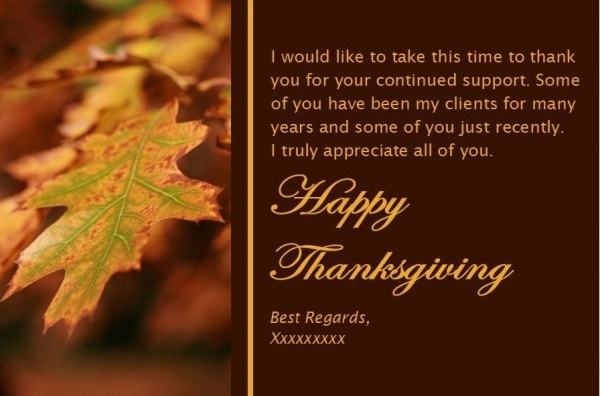 Here’s a free email thanksgiving card that is all you need to send best wishes to your colleagues, clients, and associates on the occasion of thanksgiving. It allows you to add text as per your preferences. 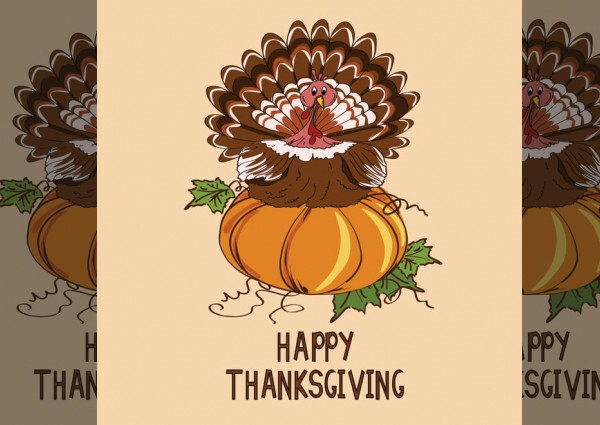 This is a creatively designed thanksgiving card template, which showcases the turkey bird sitting on a big pumpkin. It is absolutely free for non-commercial use. This is a brilliantly designed thanksgiving card, which will enhance the effectiveness of your wishes for the receiver. 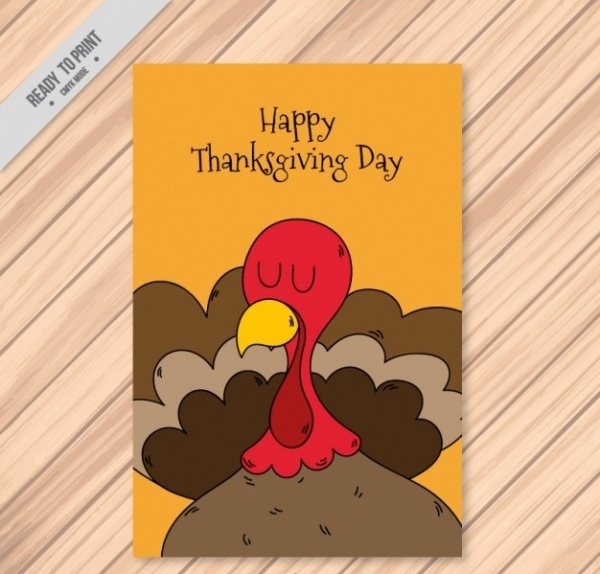 This vector thanksgiving day greeting card is available for free download on the below link! Here’s a pretty Thanksgiving greeting card that lets you wish everyone on thanksgiving day in a beautiful way. It comes in ready to print format along with CMYK mode support. This is a fascinating greeting card showcasing various fruits such as grapes, apple, pumpkin, etc. It has a simple and sober layout that perfectly displays the elements imprinted on it. Here’s a wonderful thanksgiving card, which is elegantly designed using watercolors. Click on the link stated below to download this print ready card designs for free! 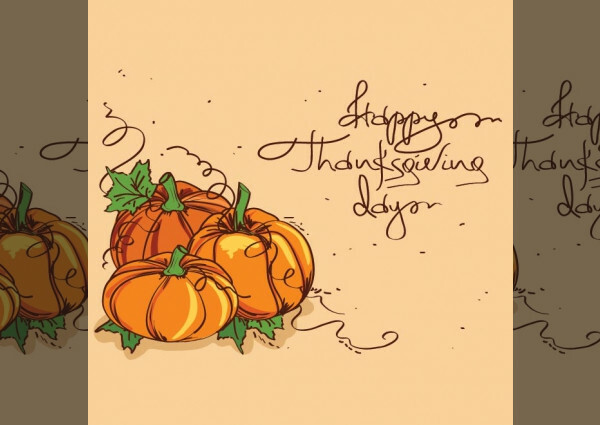 This is a cute thanksgiving greeting card design showcasing pumpkin and turkey which perfectly indicates the thanksgiving day. It can be customized as per your need and requirement. It is available for download in PDF format for free! 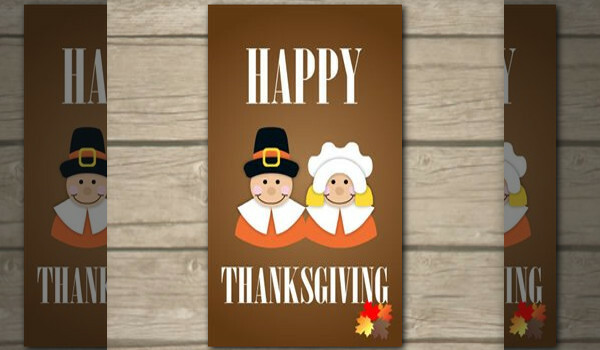 Here’s a fully customizable thanksgiving card that will definitely meet your need for the thanksgiving day. It allows you to add your personalized touch to the overall design of the card. 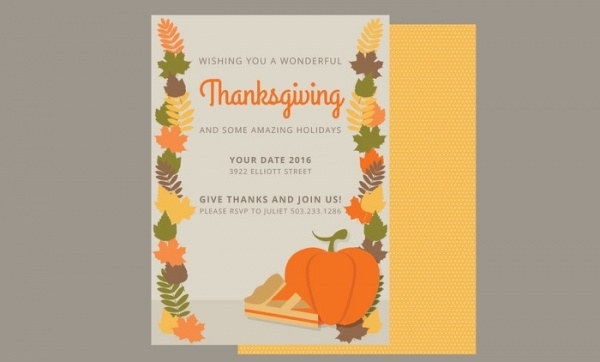 This is a professionally designed thanksgiving card that has a beautiful layout to attract the attention of the receiver. Click below to avail this fully editable card design that too for free! 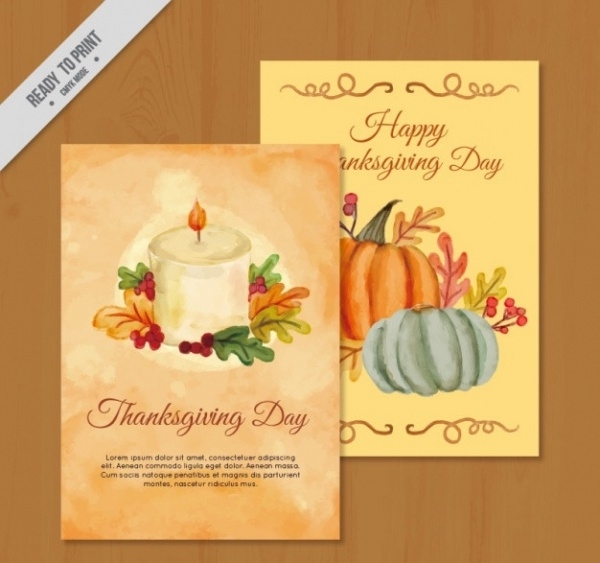 This is an elegant thanksgiving card that consists of an eye catchy layout. It features enough space for displaying thanksgiving quotes and content in a stylish manner. 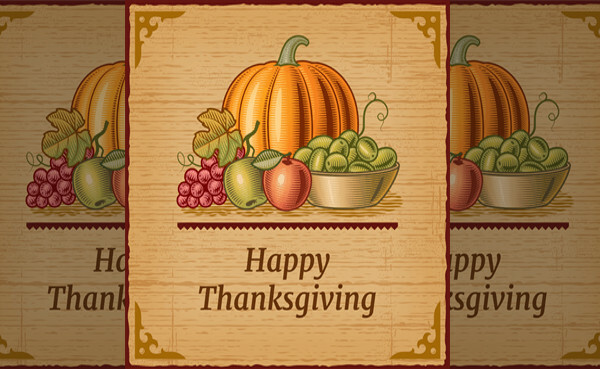 Well, it is better if you grab most out of this exclusive collection of thanksgiving card designs, as it is difficult to find the perfect one on the internet for your use. Hence, stock the best ones in your library to keep them easily reachable for future. Also, take a look at the wonderful collection of gift card designs!